CARFAX One-Owner. Clean CARFAX. Rhodium Silver Metallic 2015 Jaguar XF 3.0 Sport AWD!!! AWD 8-Speed Automatic V6 Supercharged 2015 Jaguar XF 3.0 Sport in Rhodium Silver Metallic, Bluetooth for Phone and Audio Streaming, CLEAN CARFAX, ONE OWNER, MOONROOF SUNROOF, NAVIGATION GPS NAV, Rear Back Up Camera, V6 Supercharged, 8-Speed Automatic, AWD, 3-Stage Heated Front Sport Bucket Seats, ABS brakes, AM/FM radio: SIRIUS, Bond Grain Leather Seating Surfaces, Compass, DVD-Audio, Electronic Stability Control, Front Bucket Seats, Front Center Armrest, Front dual zone A/C, Heated door mirrors, Heated front seats, High intensity discharge headlights: Bi-xenon, Illuminated entry, Low tire pressure warning, Navigation System, Power moonroof, Power passenger seat, Radio: Meridian 380W Premium Sound System, Remote keyless entry, Traction control, Ventilated front seats. 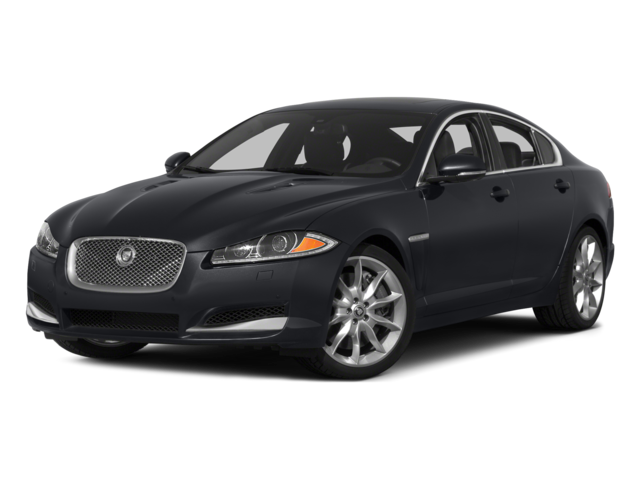 Hello, I would like more information about the 2015 Jaguar XF, stock# P5044A. Hello, I would like to see more pictures of the 2015 Jaguar XF, stock# P5044A. Ready to drive this 2015 Jaguar XF? Let us know below when you are coming in, and we'll get it ready for you.